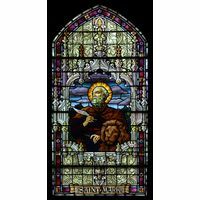 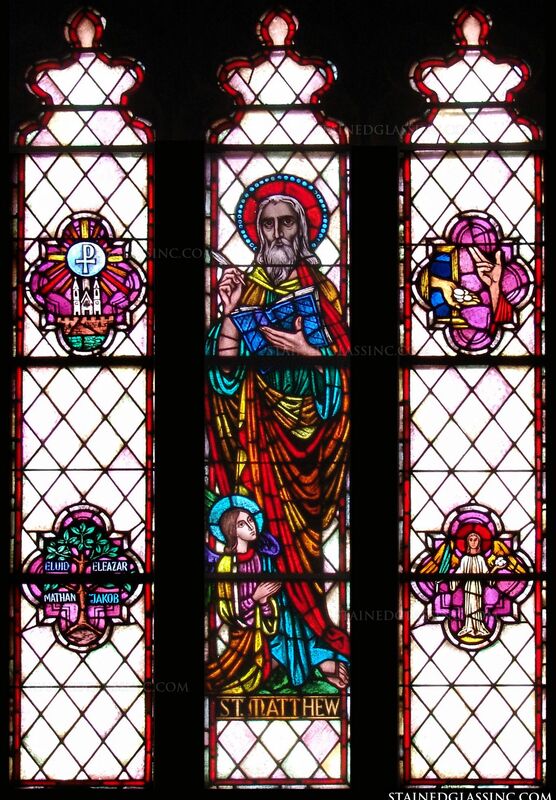 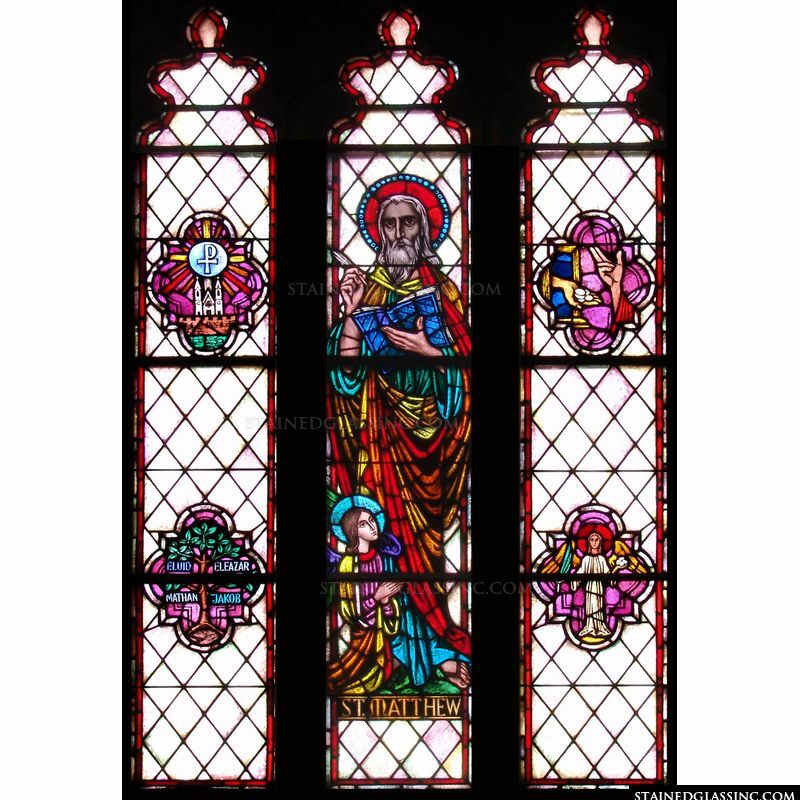 A rainbow of colors attracts the eye to this unique and awe inspiring stained glass illustration of Saint Matthew, the Evangelist. 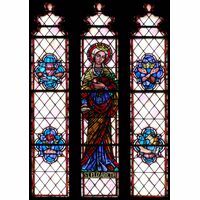 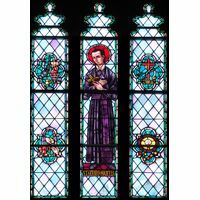 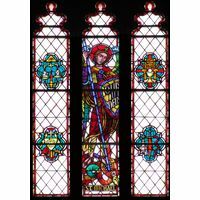 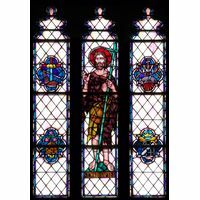 This stained glass window also features the "winged man," or "angel," which serves as the symbol of Saint Matthew. 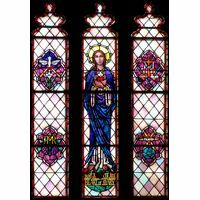 The stained glass design features many hallmarks of Stained Glass Inc. inserts and panels, including rich mineral pigments, natural color variations, texture and shading, and meticulous attention to detail. 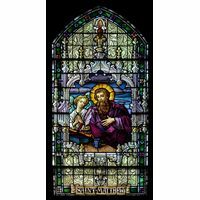 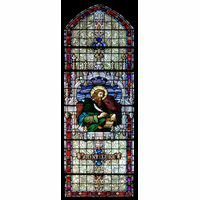 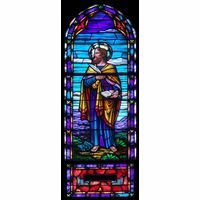 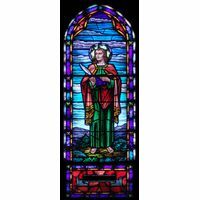 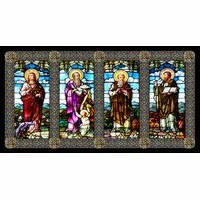 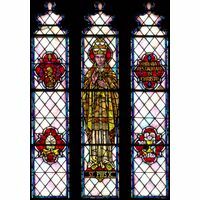 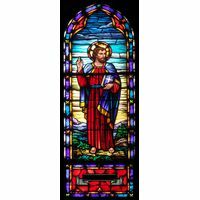 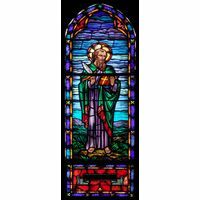 Display this stained glass art panel in a chapel, church, or home for great enjoyment and spiritual inspiration.